The meeting was dominated by the Committee’s concern over the delay in receiving the South African Sports Confederation and Olympic Committee (SASCOC) Inquiry Report from the Minster of Sport and Recreation, Ms Tokozile Xasa. The Minister had informed the Chairperson that the report would be ready by Friday 7 December 2018. The DA Members felt that the report was long overdue, as the Committee had repeatedly requested it from her, and asserted that she was undermining the Committee. They proposed that the Committee schedule a meeting the following week so that the Minister could be called to account to it, and present the report. They also questioned why the media was in possession of the report, while the Committee was not. The Minister had rebuffed their direct approach to her, saying they should channel their concerns through the Committee. The ANC Members felt that the DA was being unfair on the Minister, as she had been very consistent and had attended all meetings when required to do so. The rest of the Committee was not aware of the interactions between the DA and the Minister over the report. The bottom line was that the Committee needed to see the report, and Minister Xasa would be asked to present it. They suggested that perhaps there were issues/challenges attached to the SASCOC Inquiry Report which had caused the Minister to delay presenting it to the Committee. The DA felt that the ANC majority was covering up for the Minister, and this sparked a heated interaction between the Members that lasted for the better part of the meeting. The Chairperson tried to keep things calm, and urged Members to speak with restraint. In the end, the DA Members walked out of the meeting. Proceedings continued in their absence, and the Committee agreed to obtain permission from the House Chairperson to schedule a meeting with Minister Xasa the following week to deal with the matter of the outstanding report. Outstanding Committee minutes were also adopted. The Chairperson said that Parliament had just had a good weekend of sporting activities. On Thursday 29 November, she had been informed that South Africa’s female soccer team, Banyana Banyana, was returning to SA and that she would be required to welcome them home. SA was proud of their performance. She was concerned, however, that SASOL was their only sponsor. Members had to lobby for Banyana Banyana sponsorship. The government unfortunately did not sponsor sport. A great deal of good work was being done in sport in SA. She mentioned an ex-rugby player who was trying to mobilise young women to play rugby in the Stellenbosch area. Once again the issue was around challenges that were faced around sponsorships. The Chairperson said that at midnight the previous night, she had received an SMS from Mr T Mhlongo (DA) about the Minister of Sport, Ms Tokozile Xasa, having to provide the Committee with the South African Sports Confederation and Olympic Committee (SASCOC) Inquiry Report. The Committee Secretary had also sent her an email reminding her that the Minister was yet to submit the report to the Committee. She had contacted the Minister and had asked her whether the SASCOC Inquiry Report was ready. She had also informed Minister Xasa that the Committee was about to have its final meeting for the term. Minister Xasa had informed her that the SASCOC Inquiry Report would be ready by Friday, 7 December. This was not captured in writing, however -- it was what Minister Xasa had told her. Mr D Bergman (DA) expressed appreciation for the Chairperson’s efforts to obtain the SASCOC Inquiry Report from Minister Xasa. The Committee had been waiting since 18 & 19 October, when the Minister had promised to provide the Committee with the SASCOC Inquiry Report. He pointed out that the report had been released for some time now, as it was in the media. What he could not understand was what Minister Xasa was adding to the report that was causing the delay. The Committee had intended to invite her to appear before the Committee the previous week, but the meeting had not materialised. He added that the agenda for the present meeting had been sent to Members only the day before. He felt that Minister Xasa was undermining the Committee by not being accountable to it. When he had contacted her, she had told him that he could not contact her directly, and that he should contact her through the Committee. He felt that the Committee had to sanction the Minister in some way. The Committee had throughout its entire term worked well together, and now near the end of its term the Committee was being undermined by Minister Xasa. He proposed that the Committee schedule a meeting the following week so that the Minister could account to the Committee. Mr Mhlongo seconded this proposal. Why was it that the media had the SASCOC Inquiry Report but the Committee did not? Who was fooling who? A special meeting was needed, where Minister Xasa should be called to account. He confirmed what Mr Bergman had said about the Minister saying that individual Committee Members could not request the Report. The request had to come from the Committee. He added that the Chairperson had said that the Minister could furnish the report to individual Members of the Committee. He pointed out that the Minister had on separate occasions -- on18 and 19 October, and again on 20 November -- promised to provide the report to the Committee. R2m had been budgeted for the SASCOC Inquiry. How much of it had been used? The Minister needed to be accountable. He asked that the Committee support Mr Bergman and himself on the proposal. Mr S Ralegoma (ANC) responded that Members of the opposition made things difficult by making it about “us” and “them.” No distinction should be made between the DA and the ANC -- the Committee needed to act as a collective. Mr Mhlongo said that what he was trying to say was that he supported Mr Bergman’s proposal of calling a meeting for the Minister to account. Mr Ralegoma reiterated that the Committee acted as a collective. If a Member made a proposal, then the Committee could support it. The rest of the Committee had not been aware of the interactions that Members of the DA had with the Minister. There was a vast difference between previous Ministers of Sport and Minister Xasa. 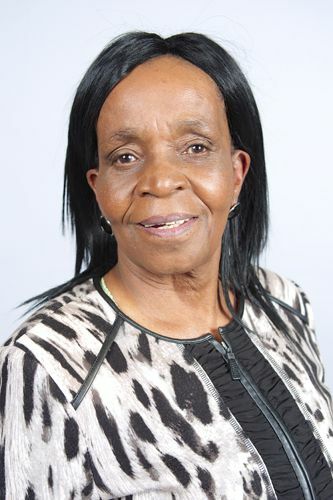 Minister Xasa had always attended meetings when she was required to, especially meetings around quarterly reports of the Department of Sport and Recreation. If there were experiences that Members had with the Minister, then they should be tabled. He was in no way speaking on behalf of the Minister. Minister Xasa would be held accountable. The reality was that all Members of the Committee were frustrated that the SASCOC Inquiry Report was not forthcoming. He added that perhaps there were challenges around the report which Members were unaware of. Perhaps the Committee could intervene if there were challenges. He said the Committee had no problem with the proposal made by Mr Bergman. If the Chairperson of Chairpersons gave the Committee permission to sit the following week, then the Minister could be called to account. Some Members should not give the impression that Minister Xasa was one of the worst Ministers. She has been consistent. He supported the proposal by Mr Bergman. Mr Mhlongo said that what he was raising was that Minister Xasa did not account to the Committee. He added that the ruling ANC had not raised the urgency of the SASCOC Inquiry Report as the Committee itself, but had rather done so outside of meetings. Mr Mhlongo responded that Mr Ralegoma had said that the ruling party had raised the matter. He disagreed, and said that he had raised the matter of the SASCOC Inquiry Report. Would the report be ready on Friday 7 December for the Committee to do oversight, or would it be made available to the media. Mr Ralegoma, being perturbed with what Mr Mhlongo was saying, decided to withdraw his support for Mr Bergman’s proposal. He said that he was very disappointed. The Chairperson responded that when the Minister was last present at a meeting, she had told the Minister that the Committee was awaiting the SASCOC Inquiry Report. If Members so wished, it could be checked in the Committee’s minutes. She had asked the Minister to provide the report to the Committee the next time they met. The request had been made in her capacity as Chairperson of the Committee. She did not understand what Mr Mhlongo was referring to, when he said that she had raised it outside the meeting. The issue at hand was for the Committee to work as a collective to get the SASCOC Inquiry Report. The House Chairperson could be asked for permission to allow a special meeting the following week to meet with Minister Xasa. Mr M Mabika (NFP) said that the Chairperson had covered him for the most part. However, he had been disturbed by Mr Ralegoma’s withdrawal of his support for Mr Bergman’s proposal. The proposal had been for a good cause. No matter what Members had said, the proposal was good. He hoped that Mr Ralegoma would reconsider his withdrawal. Mr Bergman said that Members needed to refrain from acting childishly. The Chairperson said that it was the last meeting of the Committee and that Members should show some restraint. She addressed Mr Mhlongo and said that his behaviour was unacceptable. Whilst the Chairperson was addressing the Committee Mr Mhlongo was chatting with Mr Bergman. Mr Mhlongo asked the Chairperson to withdraw her statement about him misbehaving. The Chairperson responded that Mr Mhlongo had a tendency in meetings to not act honourably. Mr Mhlongo asked that it be placed on record that he was shocked at what the Chairperson was saying. The Chairperson reiterated that there were times in meetings when Mr Mhlongo did not behave. She had on occasion had to remind him that he was in a Committee meeting, and not in the plenary. Mr Mhlongo said that he was merely speaking to his colleague, which he was allowed to do. Ms B Abrahams (ANC) pleaded with Members not to get all worked up. Members respected each other and there was no need for Members to behave like they were. She asked Mr Mhlongo to allow the Chairperson to chair the meeting. The Chairperson said that the Committee accepted what Mr Bergman proposed. The Committee after all wished to have the SASCOC Inquiry Report presented to it. The Committee was in agreement that a special meeting should be called with the Minister to present the SASCOC Inquiry Report. She informed the Committee that she had been invited to the Annual General Meeting (AGM) of SASCOC. She would not be accepting the invitation and would tender an apology. The SASCOC Board had in the past not respected the Committee. The President of the SASCOC had also not treated Members well. He had snubbed them. The Committee accepted the fact that the SASCOC Inquiry Report would be ready by Friday 7 December 2018 and would consequently request of the House Chairperson to give the Committee permission to meet the week thereafter. She said that Tuesday 11 December 2018 was a good day to have the meeting. Minister Xasa respected the Committee and had always been present at meetings when she was required to account. Some of her predecessors had not done so. The Committee had raised the matter that the Minister had not responded to all the questions asked by Members, and that she should do so. Minister Xasa needed to follow the procedures of Parliament. Mr Bergman suggested that perhaps the Committee needed to take a vote on the matter. He personally did not believe the praises of Minister Xasa to be deserved. He explained that it was not about the attendance of the Minister at meetings, but more about what value the Minister added to the meetings. When a Minister was called to account to Parliament, they were required to attend meetings. Deputy Minister Gert Oosthuizen was always willing to answer questions, but Minister Xasa was all about activity but not productivity. He felt that the fact that Minister Xasa had failed to provide the Committee with the SASCOC Inquiry Report could not be defended. He said that the Minister, in a matter of speaking, should be given a “red card”. Mr L Ntshayisa (AIC) said that perhaps the issue was about the SASCOC Board. The SASCOC Inquiry Report should come to the Committee. He was not sure what the way forward was. He said that Minister Xasa was a better Minister than some of her predecessors. Mr S Mmusi (ANC) said that he did not wish to compare Ministers with one another. Minister Xasa, as the current Minister of Sport and Recreation should report to the Committee as part of her duties. She had been attending meetings. Perhaps there were reasons why Minister Xasa did not wish to present the report to the Committee. The Committee should ask the Minister by when the Committee could be presented with the report. He could not understand how the media could be in possession of the report before the Committee. If it was true that the media had the report, then what was the point of the Minister presenting it to the Committee? The Committee might as well get the report from the media. The Chairperson thanked Members for all their inputs and said that she was not yet giving Minister Xasa a “red card”. She felt the Minister was performing well, and would request to provide the SASCOC Inquiry Report to the Committee. Mr Mhlongo insisted that Minister Xasa should get a “red card”. The Minister had received enough “yellow cards”. He felt that some Members were protecting Minister Xasa. The Committee should ensure that the Minister should account at its next meeting. He and Mr Bergman walked out of the meeting. The Chairperson said that the meeting was a meeting of the Committee, not the plenary. She had informed Mr Mhlongo of this. Given that the two DA Members had walked out of the meeting, the Chairperson suspected that they were out of order. Mr Mabika said he did see the need for Minister Xasa to present the SASCOC Inquiry Report to the Committee. Even if the DA Members had left the meeting, the rest of the Committee could decide on how to approach the matter. The report had to be tabled with the Committee before it appeared in the news. The Chairperson urged Members to maintain their decorum. Electioneering should not be done in the manner that had been observed in the meeting. Mr Ralegoma said that Minister Xasa would present the report to the Committee. It did not matter that the two DA Members had walked out of the meeting. The Chairperson was the only one who could speak on behalf of the Committee. He had observed that an Eye Witness News (EWN) male reporter had followed the two DA Members out of the meeting. The right thing would be for the reporter to listen to the views of the Committee as a collective as well. Mr Mmusi said even if the two DA Members had left the meeting, the meeting could continue. There was still a quorum of Members, and outstanding Committee minutes could be adopted. He felt that the two DA Members had preconceived ideas of what they intended to do. Their behaviour was very amateurish. The way things should be resolved was through dialogue. He urged the reporter from EWN who had rejoined the meeting to get a balanced view of proceedings. Mr Ntshayisa asked why the DA Members had walked out of the meeting. The Chairperson responded that Members did not know what the reasons for the DA Members leaving the meeting were. She urged Mr Ralegoma to reconsider withdrawing his support for Mr Bergman’s proposal, even if Mr Mhlongo’s comments had upset him. The bottom line was that the Committee needed to get the SASCOC Inquiry Report. The Committee was tasked with doing oversight over Minister Xasa. Mr Ralegoma said that Mr Bergman had made a proposal to have a meeting with Minister Xasa over the SASCOC Inquiry Report. The Committee, including himself had no objection to it, so it still stood. He hoped that the Committee was able to obtain permission to have a meeting with the Minister the following week. He added that the conduct of Mr Mhlongo was unbecoming of a Member, and that he was even disrespectful when officials of the Department appeared before the Committee. When the Minister presented the report to the Committee, Members could interrogate it. The Committee would not give the Minister a “red card”. The Chairperson was pleased that Members stayed cool and calm. She added that since Mr Mhlongo had been part of the Committee, he had been disrespectful to Members and officials of the Department/entities alike. It was an embarrassment to the Committee. She felt that he did not treat people properly. It was not the first time that she had cautioned Mr Mhlongo. The minutes dated 23 and 30 October were adopted unamended. The minutes dated 13 and 20 November were adopted as amended.